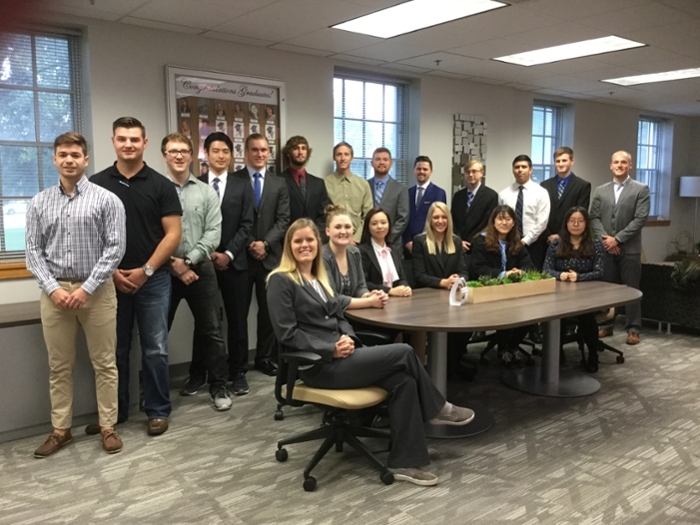 The William L. Bauhard Student Managed Investment Program fund was established at the University of Nebraska foundation with a leadership gift from Bill Bauhard of Omaha, a retired financial services and telecommunications executive. 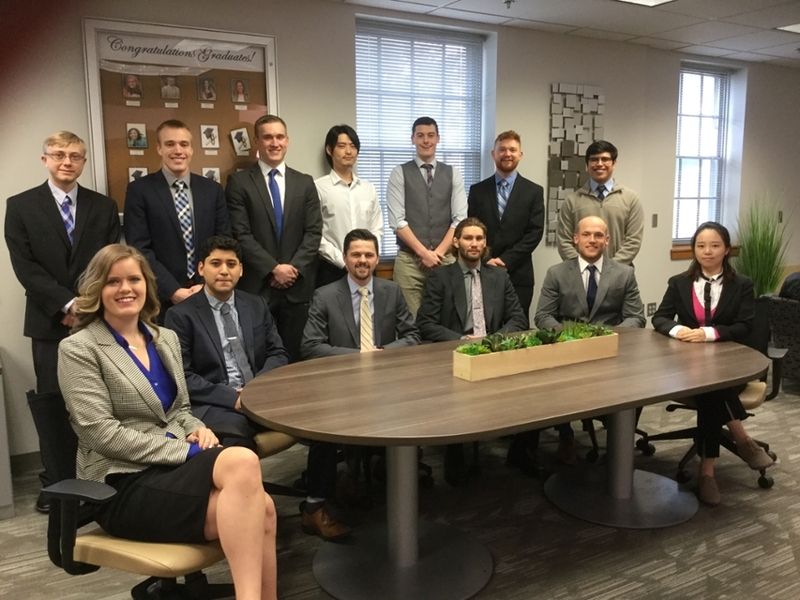 Students at the University of Nebraska at Kearney gain real-world investment experience before they graduate. 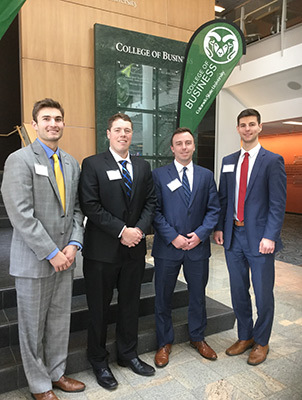 Many students today use online simulations to learn about investing, but with the use of the Bauhard Investment Program Fund, undergraduate students in the field of study have the opportunity to use actual funds to make and monitor real investments. Students in the class work closely with their professor as they select and manage investments. Future income that students earn from investments they make will go to a student scholarship fund that will provide tuition aid for undergraduate students in the college. "The Bauhard Student Managed Investment Fund supports the UNK College of Business and Technology's commitment to provide our students with rich, hands-on, experiential learning opportunities," said Dean Tim Burkink. "We appreciate what Bill Bauhard and the other contributors now enable our students to experience." Abbott Laboratories Adobe Systems, Inc. Advansix Inc. Alphabet Inc. Amazon American Electric Apple Inc. Applied Materials, Inc. Archer Daniels Midland Bank of America Corp. BB & T Corp.
Comcast Corp. CVS Health Corp.
Exxon Mobil Facebook Inc. General Motors Co. Gilead Sciences Inc. HCP Home Depot, Inc.
Verizon Communications VISA Inc Co. Walt Disney Co.
"The William Bauhard Student Managed Investment Program has been one of the most challenging, yet educational projects I have ever been a part of. 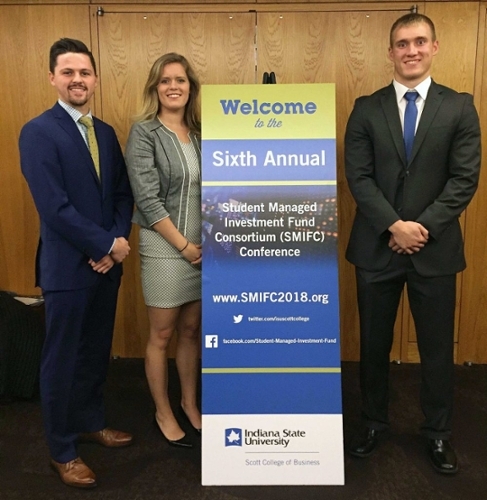 It has certainly provided me with the best hands-on experience I've ever received in the classroom setting" M.J.
"The Student Managed Investment Fund project has been an incredibly fun learning experience that allows us students to have the opportunity to invest actual funds. I have thoroughly enjoyed the process for how the class is set to pick an equity and the research/work that follows." J.A. "The Morningstar Direct on my personal computer was a huge benefit during the research stage of the project" A.H.
"Presenting a stock pitch to a class has been a unique experience that I thoroughly enjoyed, despite struggling occasionally. Finance 480 has given me some extremely valuable insight into these areas. Pitching these stocks has taught me a lot, more than I even knew existed to investing" C.W. "All in all, I feel like I learned a tremendous amount on the valuation of stocks and really enjoyed the power we had to act as portfolio managers with a large responsibility." S.O. "The stock pitches and the endowment fund have been a fascinating learning experience." L.U.